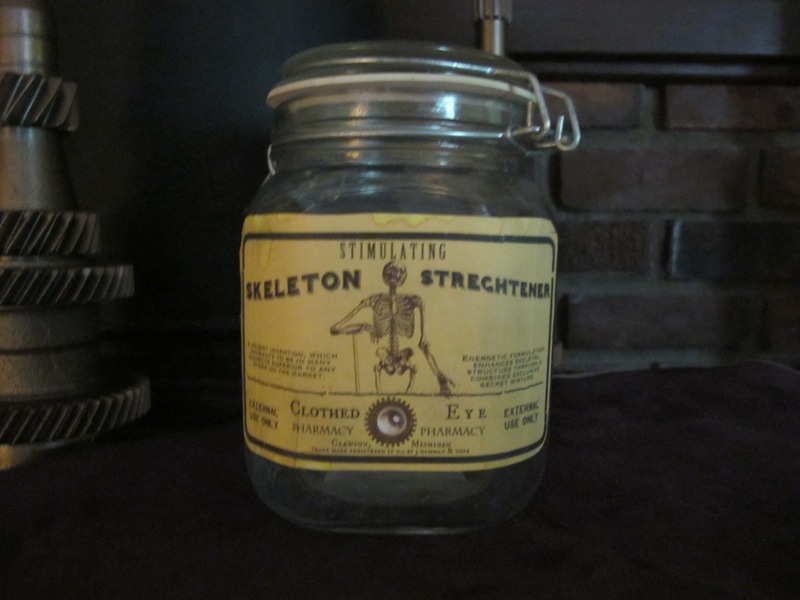 Effervescent Brain Salt antique apothecary jar from the Pharmacy line. Single sided ‘aged’ label with real antique label below it. This vintage jar stands approximately 10 inches tall with its included beveled glass stopper. Will include new unused sticker label. 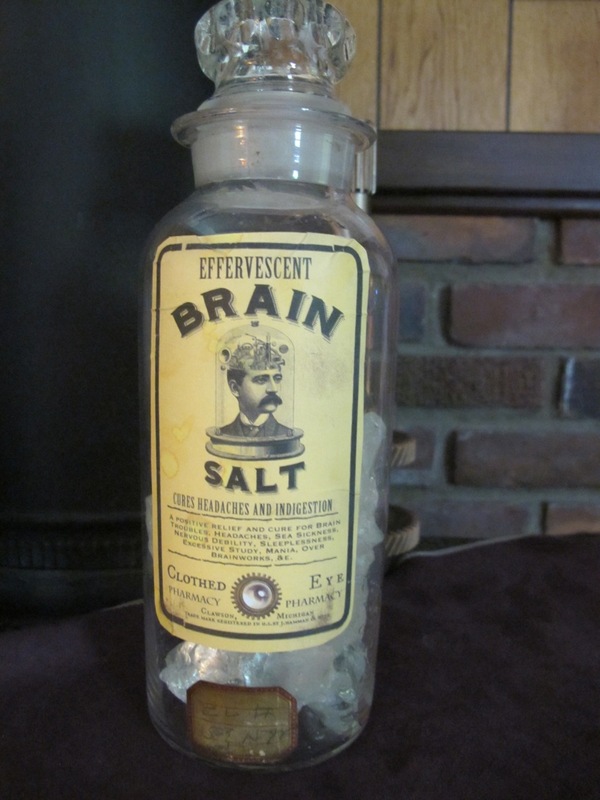 This jar also includes ‘brain salt’ (large clear glass pieces) to enhance its look. Don’t miss out! 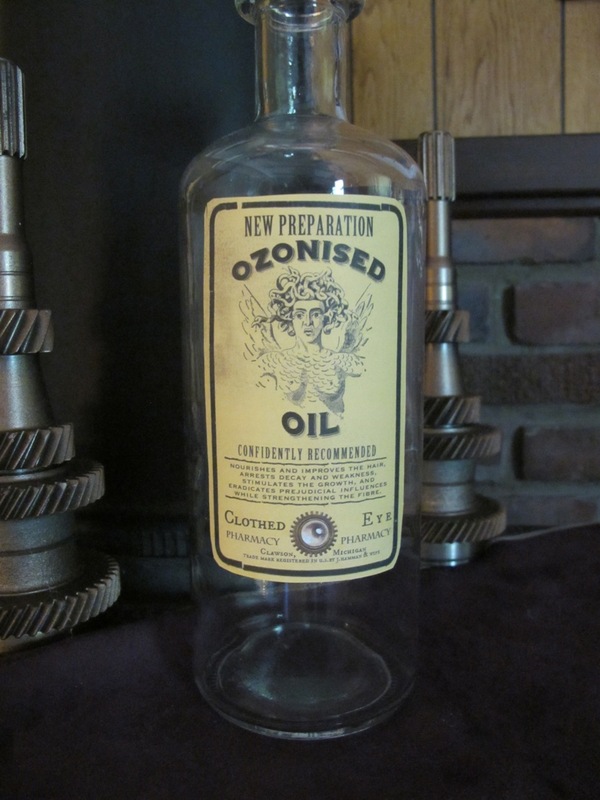 New Preparation Ozonised Oil steampunk apothecary jar from the Clothed Eye Pharmacy line. Narrow necked glass jar stands approximately 11 inches tall. Double sided ‘aged’ labels. A set of new, unused sticker labels will be included with your order as well. 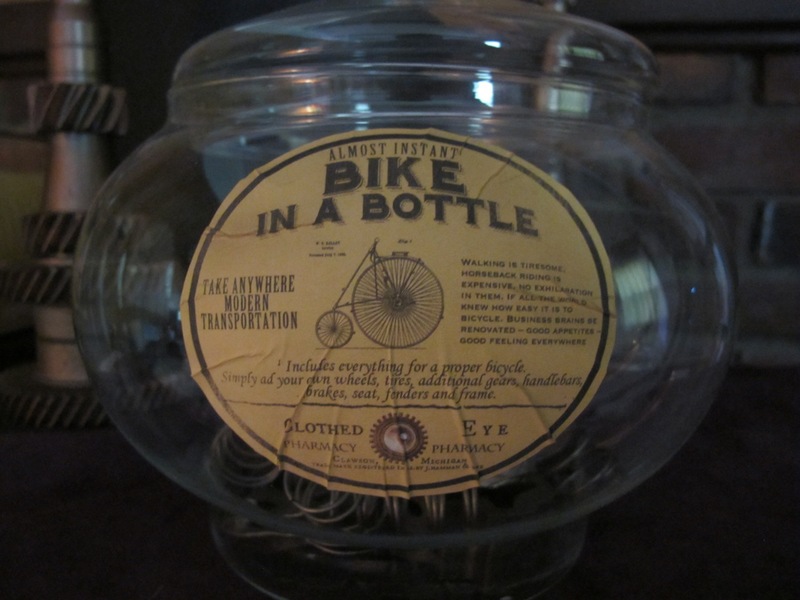 Makes a great center piece for dining room table or steampunk themed wedding! 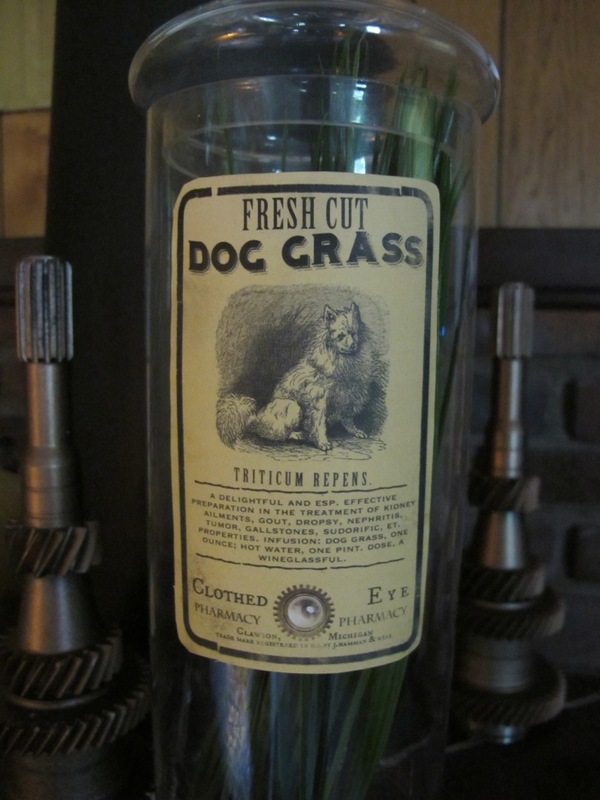 Fresh Cut Dog Grass apothecary jar from the Clothed Eye Pharmacy line. 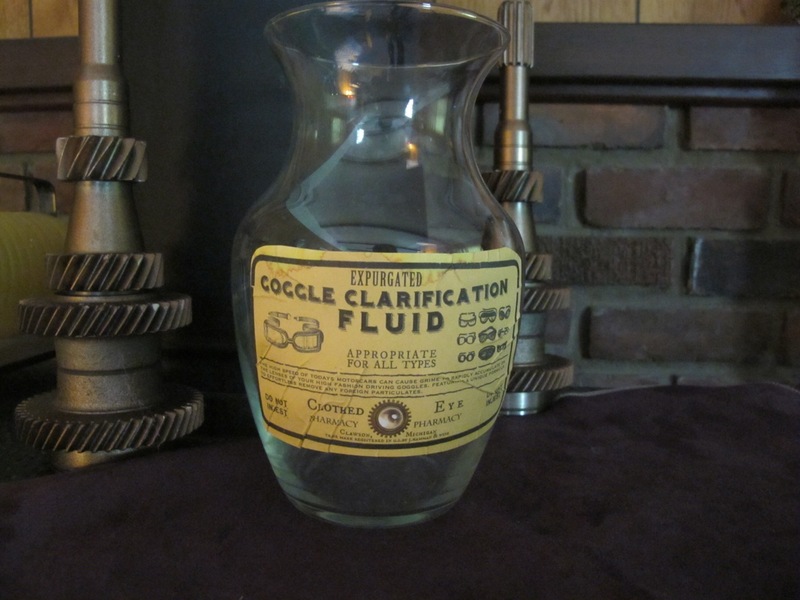 Steampunk apothecary jar with custom made label. Tall and thin apothecary jar stands approx 16 inches tall with lid. Includes artificial grass as well as new sticker labels that are not aged. Body of jar is 12 inches tall and approx 4″ around. Great for wedding centerpiece. 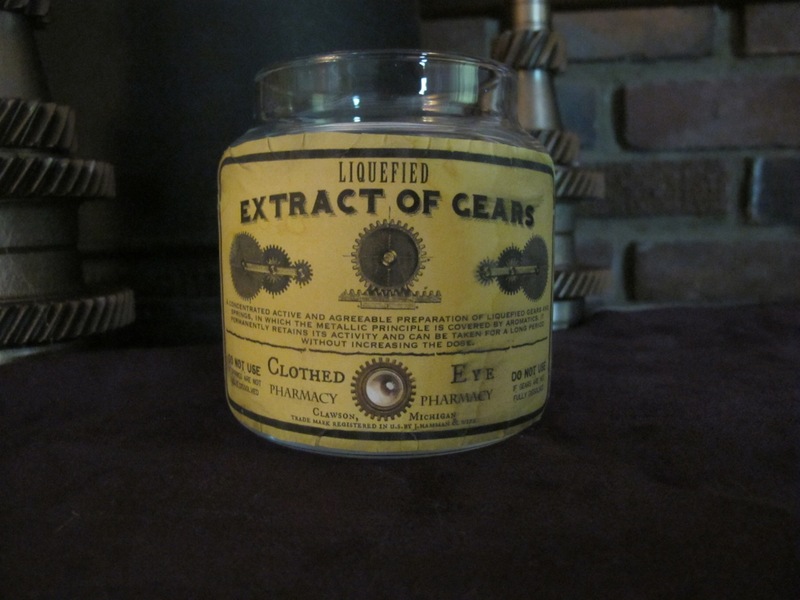 Another unique steampunk apothecary jar from the Clothed Eye Pharmacy line. 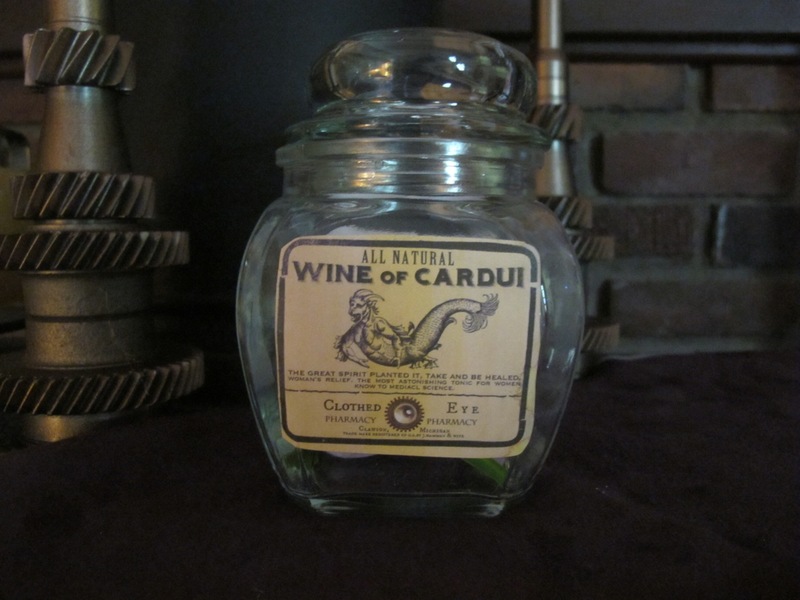 All Natural Wine of Cardui thick glass jar with lid. Includes fake flowers as well. ‘Aged’ labels on both front and back. As with all of the Pharmacy line it will ship with a set of brand new unused sticker labels as well. Stands approximately 5.5″ tall with lid. Great for party centerpieces. More photos always available on request. 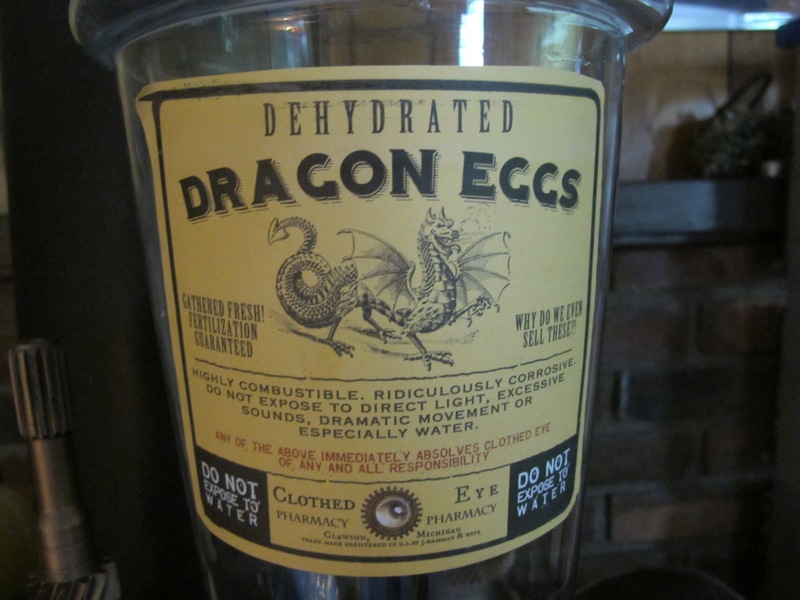 Apothecary Jar with unique steampunk designed label. 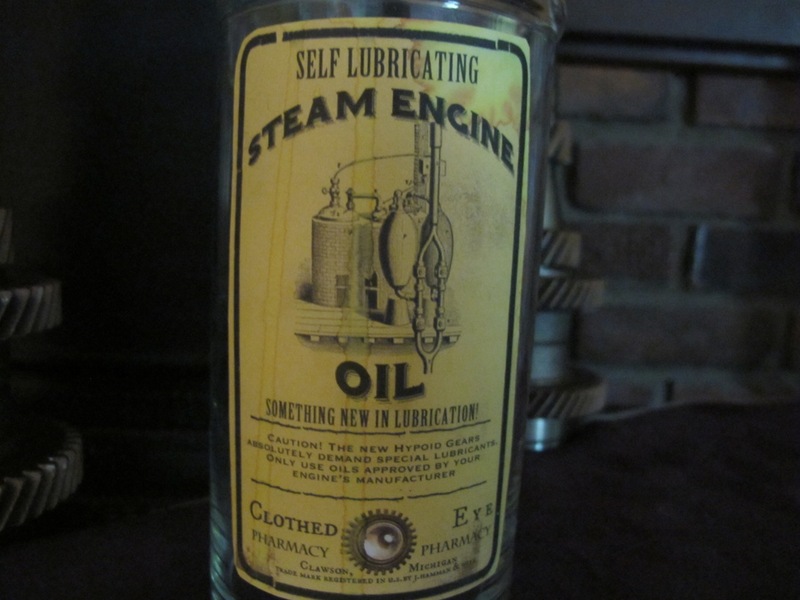 This one is for Liquefied Extract of Gears, from the Clothed Eye Pharmacy line of items. Glass jar stands approximately 4 inches tall. The label has been aged and smeared to give it a more vintage look. Will also include a brand new, unused sticker label if you wish to replace it. Makes a great wedding centerpiece. As always more images available on request.